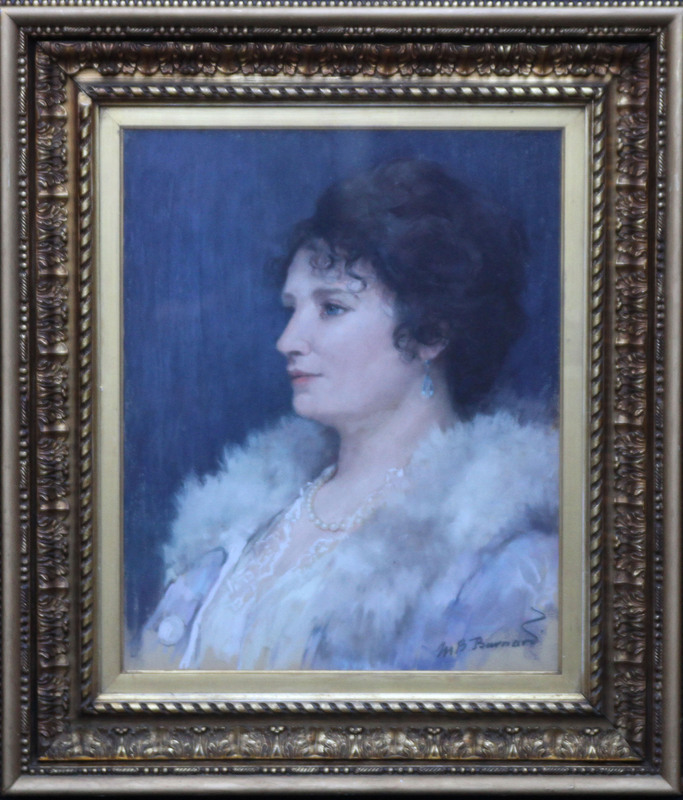 This beautiful 1920's portrait is by well exhibited noted British female artist Mary Barnard. 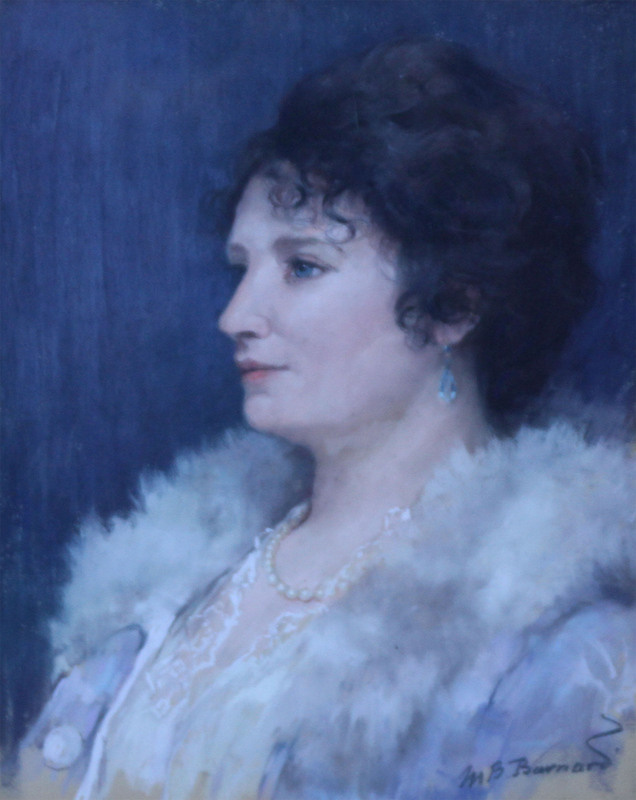 A stunning profile portrait delicately portrayed in pastel, Barnard really details the lace, fur and pearls the sitter is wearing. Signed lower right. Housed behind glass in a fabulous ornate gilt frame, 30 inches by 26 inches and in good condition. Mary B Barnard (1870-1946) (Mrs MacGregor Whyte). Born in Wiltshire, studied art in Paris where she came to admire the pastels of Mary Cassatt. In 1901 married Duncan MacGregor Whyte whom she had met in Paris. After a period in Glasgow they moved to Oban in 1910. Summers were spent on the isle of Tiree where they had a studio. Highly competent still life flower painter with a fine colour sense, delicately portraying flowers, generally in vases on tables. Also painted portraits, interiors, children and landscapes. Exhibited: Royal Academy 2, Royal Scottish Academy 6 (1903-1913), Glasgow Institute, 13, Royal Society of British Artists 3, Royal Institute of Oil Painters 1 and Liverpool 1.